Next Ski Trip to Afton Alps is ... The cost is $40. Rental is extra. Turn in your money to the Activities Office after the winter break. Stop in the Activities Office to sign up! 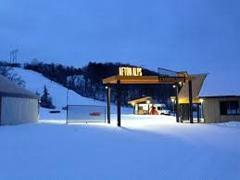 If you are interested in skiing/snowboarding at Afton Alps Friday nights, stop by the Activities Office to get your name on an email list. When the snow flies, hit the slopes! Challenge your friends to a race down the slopes.The bus leaves PLHS at 3:30 each of the below Fridays. You’ll be transported to Afton Alps for skiing. Dates for the 2019 Ski Trip will be January 23-26th, 2019. We will be leaving at 5:05 pm, Wednesday night to Denver, Colorado. We will be traveling to Keystone, Colorado to the mountain via Coach bus once we land in Denver. The cost of the trip is $700. This is includes airfare, lodging, 3 day lift ticket, coach bus and food. $150 deposit is required to reserve your spot. Some fundraising will be available. 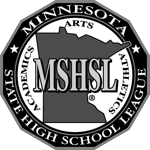 If you have any questions, please call 952-226-8690, Activities Office.